Writing love notes since Tocantins (18), Heroes vs. Villains (20). I would love to see his nuku. 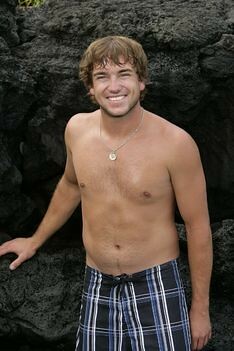 I think JT will be my Survivor boyfriend this time around. Sorry Caleb. I must agree on his Noku too. I won the Office Pool from J T and his season, so I have a rooting interest in him from that, but I would rather someone else wins. I’ve definitely been humbled. I have become a little more patient and I don’t think I’m quite as gullible. I think I bring many skills to the table. I will always play with all my heart, which has allowed me to overcome many obstacles in my life. I plan to build a very strong team and lead them to the merge. From there, I’ll have to play with the hand I'm dealt to the best of my ability. My ability to understand that I would have to make a big move to win the game and my guts to act on it. I most regret the moment I climbed down from the pole in the Immunity Challenge that led to my dismissal. I knew it would be hard to win, so I let myself climb down. If I hadn’t climbed down, I could have held onto the pole for a lot longer. I let myself take the easy way out, which is hardly ever the best decision. Hunger and conditions clouded my judgment without me recognizing it. I will be more careful about picking my allies. More importantly, I will play a more aggressive Idol-tracking game, and a more determined and fierce challenge game. Funny how one of the things he didn't learn was, "Don't give your idol to someone you don't know!" I will be more careful about picking my allies. If your last ally was a Hantz, that's a rather low bar. Seriously, can we talk about how bad JT is looking these days? And was he always so country? I don't remember him being quite so...backwoods. I keep expecting him to pull-out a fiddle. I'm not going to make fun of him for gaining some weight but he's not the physical threat he once was just from these first two challenges. The problem is that I don't think he's going to acknowledge it. I came here to say that say thing, he looks bad. Wasn't he kind of cute at one time? I kind of remember him in a much better light, both physically and mentally. Man, that moonshine really takes it out of you! I'm telling you, he ate a Hantz! As a friend of mine would say, he's been beaten with the old stick, hard. Um...I still think he's kind of hot. I know he has that paunch but...I still. Would bang. I'm having flashbacks to Season 20 where JT trusted the wrong person and an idol screwed him. All it needed was JT giving Tai the idol personally. And, thanks to Michella, he's gone if they go to Tribal again. In watching the show a second time for recap reasons, I have to say that I think JT really was trying to help his and Malcolm's positions by getting Mana to vote out Sandra. If Brad had given him any indication they would vote for Sandra, I am certain Malcolm and JT would have flipped as well. Or at least JT. Only one vote was needed. But things were so crazy and chaotic! JT won his season through being a good guy and because Fishbach was not very well liked, not because he is good at strategy. That much is obvious.